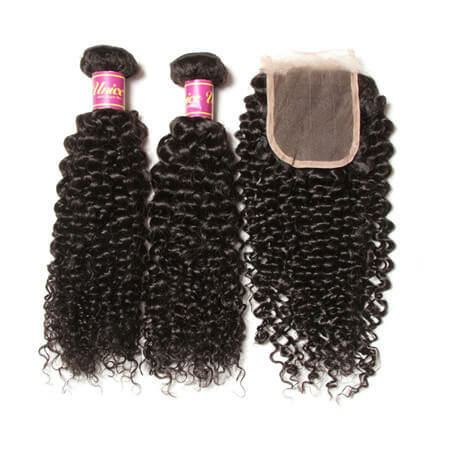 If you are new to the world of hair weaves, or even if you have purchased them a couple of times, you should know that Brazilian hair is acknowledged as one of the highest-quality types of hair in the market,especially brazilian body wave ,brazilian curly weave. Brazilian hair bundle deals are readily available to those who are interested, and since this is some of the finest hair you can buy, you can be sure that it will look magnificent once styled properly. Are you seeking for only virgin hair bundles??? Bundles + Closure = How Many Bundles Per Head? 1.Each bundle of hair we sell equals 100 grams (3.5oz) with tolerance +-3gram. 2. Hair length over a 22inch requires more bundle. 3. The longer the length, the more bundles you will need. 4. Don't get less than 2 bundles of hair if planning on doing a full head. 5. Slightly bigger head size than standard size going up a bundle or two is recommended. 6. Two More bundles the needed if you want a longer and fuller volume looking. 7. Length 30inch and over will need 4-5 bundles. Why would you use hair with closure? Since the weave closure covers your head, you don’t have to style your hair with heat or dyes to blend them with the extensions. Of course, you need to make sure that a professional stylist applies them, so they are blended seamlessly and attached securely. Likewise, only purchase the best lace closures, such as those offered by UNice Virgin Hair. These have lightened knots and lace that appear like your scalp, so you get more natural-looking results.